Good service is a tradition in the Schaeffler Group – like the development and manufacture of precision parts to the best quality. In order to ensure that our products are used correctly, we offer you the necessary support as early as the development phase. With the new BEARINX-online module „Easy RopeSheave", you can calculate the static load safety factor and operating life of single and multiple rope sheave bearing supports. 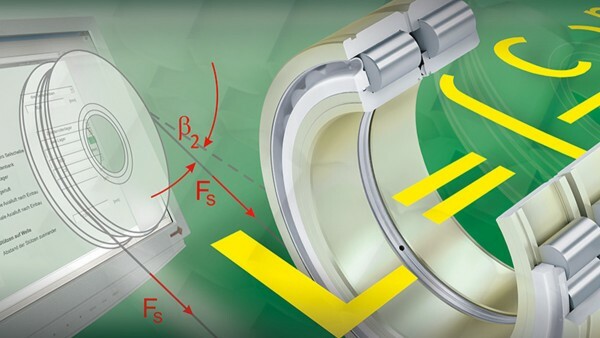 The precise data of the bearing’s internal geometry, including the rolling element and raceway profiling will be taken into account. The calculation result can be generated as a PDF for your documentation. 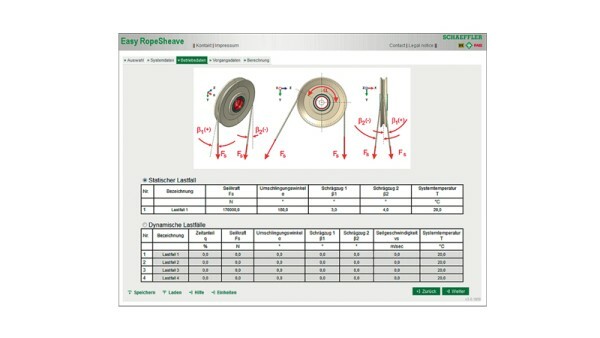 The calculation program "Easy RopeSheave" is available online only and can be used free of charge without restriction. After your initial registration and a positive verification you can start your calculation.